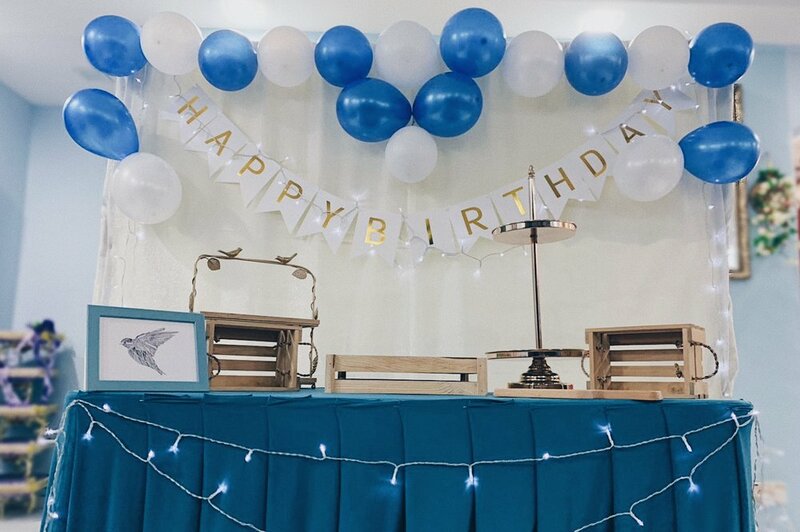 View your choice of birthday backdrop themes here. NOTE: You are also able to pick these dessert table setups specially for other occasions such as baby showers, engagement parties, henna nights etc. A charming dessert table with a splash of hot pink. Some wood elements to give a little rustic look to the display. Best for baby showers too! For a simple interior, Blue is indeed a standout. Wooden crates and a tint of gold stands mix well for a rustic and royal vibe. Suitable for babyshowers too! A very “bow tie” themed display enhances all the gold in black. You can even take insta-worthy photos with it! This setting is also best for special occasions such as henna nights and engagement parties etc. A few more balloons from our add-ons will do the trick. 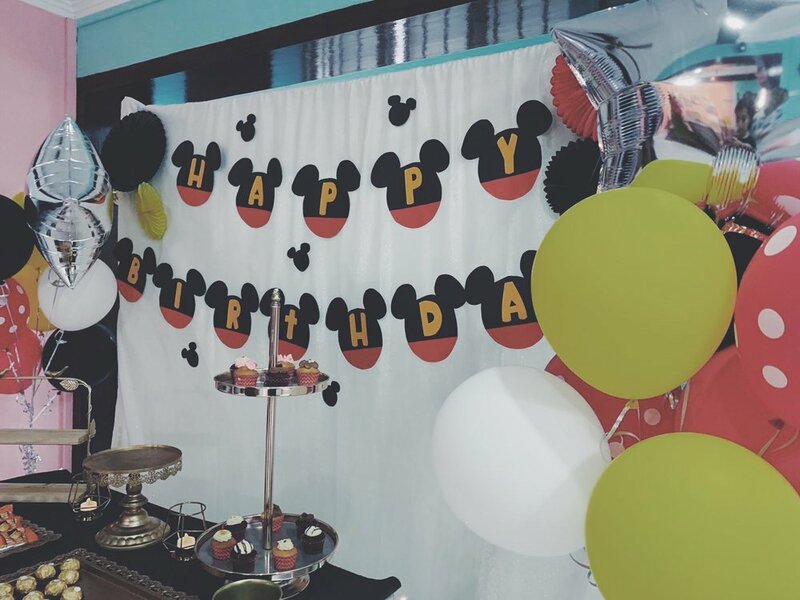 This Mickey Mouse theme is certainly too cute and ideal for kids. 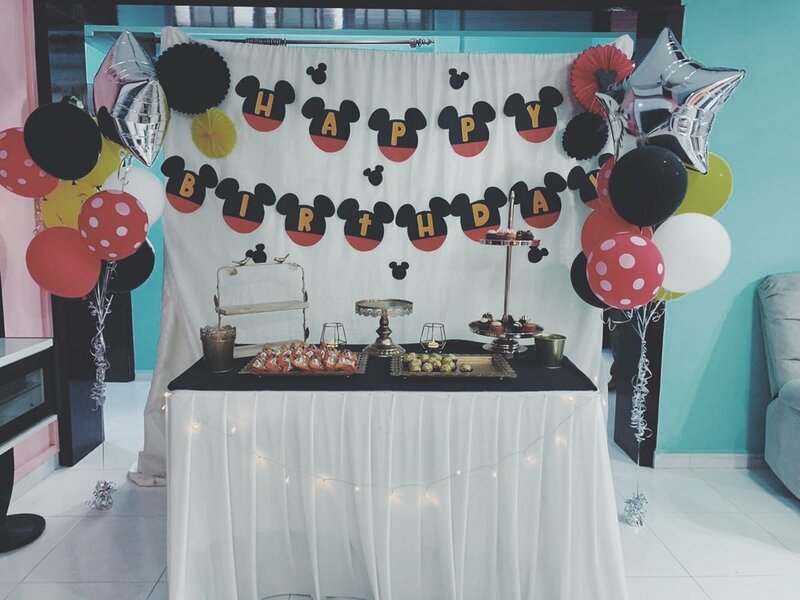 With Mickey Mouse happy birthday banner and gold stands to go with. Disclaimer: Food displayed in picture is not from us. Yes friends, we do customisations too! Let us know what you have in mind for your little party when you book with us. Get into the details and we will assist you on it accordingly. Prices for customised themes are not fixed as it varies on the type of theme and any form of request. Book us in advance so we can plan it right for you before your big day! 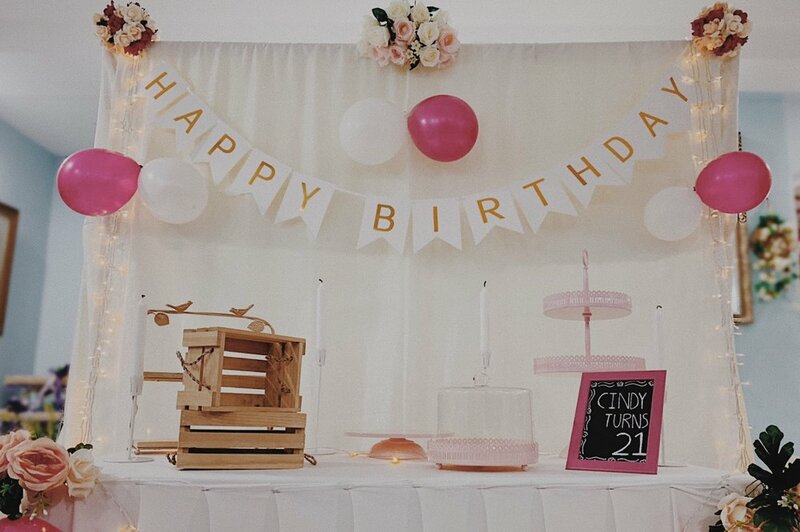 Need it all done and ready with a bigger cake display on top of our basic birthday theme? Perhaps more balloons?